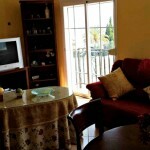 Casa Dulce is a brilliantly positioned stunning value village house, great for excellent value family holidays. 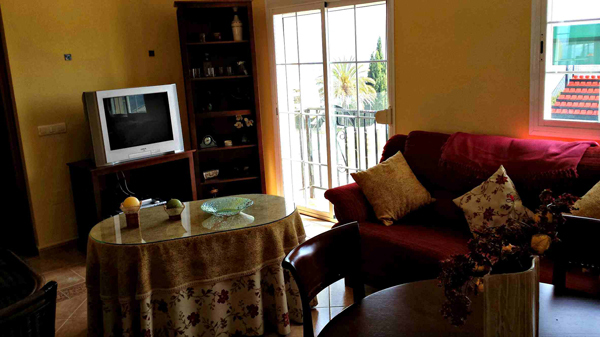 This 3 bedroom house which can comfortably sleep 4 but with small children 5 is not an issue, is situated on the lower edge of the amazing hilltop whitewashed village of Comares. The location for families is perfect for a truly authentic Spanish village holiday with a car not being needed for this experience. During the peak months of July and August you have a large municipal pool on your doorstep, along with a great playground for letting of steam and a couple of local priced bar/restaurants on your doorstep, one where you can savour a glass of wine whilst watching the children play in the playground below. Although situated at the bottom part of the village you can walk up into the main part in less than 10 minutes enjoying the majestic views on route. Once you have stopped in the Plaza and looked out upon the wonders of the countryside and villages below, you can then stop for another Cafe con Leche or Tubo of Cerveza, before exploring this untouched village and getting supplies in the local shop which is always well stocked. If you are an early bird and fancy a bus to Malaga then be up and out for 7am to take advantage of this week day offering for a couple of Euros. There are 5 main walks from Comares and lovely hamlet with a lovely restaurant and authentic Spanish local bar only a 30 minute walk away. What else does Casa Dulce offer. Well equipped kitchen, with Fridge/Freezer, oven, ceramic hob, microwave/grill, Washing Machine and plenty of storage. Lounge Area: Light and airy room with seating for 4. What a fantastic place to stay. We've just got back from a 6 week stay and it was the perfect place for my football mad children. Not only is there a football pitch outside the windows, there is also plenty of local kids to play football with. The friendly welcome from the people of Comares made this a great place to stay. The views are incredible, the village is beautiful and we had a great holiday. David and Jacqui are fantastically helpful and any problems are sorted very quickly. Great value for money. Thank you.